We review the latest adapters that allow you to connect console gamepads and control devices to your PC. Our friends over at Liksang recently sent us a bunch of the latest PC controller adapters on the market. We will review each of them below, and explain what they can be used for, and how to get your hands on them! 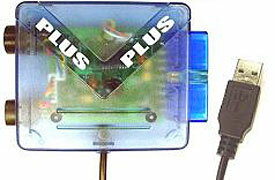 This adapter plugs into a USB port on your PC and allows you to connect two PS/PS2 gamepads, wheels or dance mats. All buttons are supported, including the analog sticks, as is force feedback and pressure sensitive devices such as dance mats. In our tests the adapter worked flawlessly, and you can get your very own now from Liksang for US$15.90. 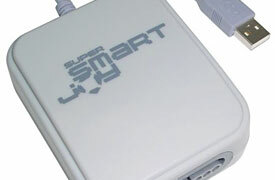 The Super SmartJoy allows you to connect any SNES gamepad to your computer. As usual, all buttons are supported and two or more of the adapters can be hooked up for multiplayer gaming. No drivers are needed here, as the adapter is Standard HID compliant which means Windows can deal with it as is. These are available now from Liksang for US$18.90! 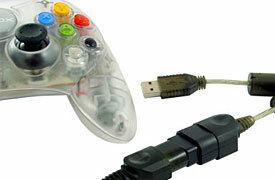 Liksang also offer a fantastic SNES controller, perfect for emulation! This new adapter allows you to connect Xbox controllers to your PC, with support for analog and digtal controls. In our tests, it even worked with third party Xbox controllers, so give it a try! They are selling cheap now on Liksang for US$9.90. 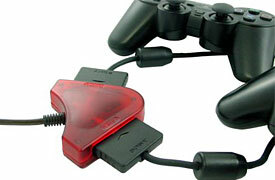 Lastly, we received this adapter, which again allows you to connect PS/PS2 gamepads to a PC. This one also supports GameCube controllers (all except the Wavebird), DreamCast controllers, and a variety of dance mats, and DreamCast steering wheels. The adapter also features Macro, Turbo and key mapping features.